I initially grabbed this book because duh, look at that cover. It’s beautiful. But as I read the book, I wasn’t as engrossed in the story as I hoped I would be, like when I seen the cover. I don’t think that the story ever grabbed my attention. 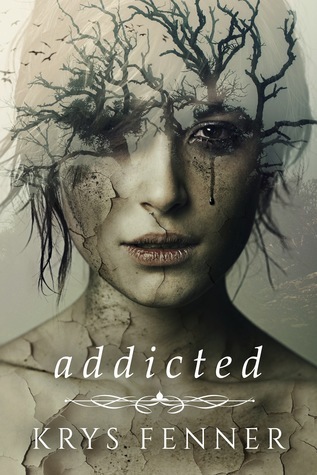 The thing that got me with Addicted was the way the story was given to us. I stayed confused a lot and got my timelines and occurrences very mixed together. The story was all over the place. It was near impossible to stick with what was happening and when. There was also a lot of people involved that we didn’t get enough information on so I struggled with who was who as well. Every other chapter we were having more and more names thrown at us. Maybe I processed it wrong. I will say that for a young adult book, I’m very impressed with the psychological suspense that the author pulled off. But I wasn’t impressed with how long it took me to get into the actual story. I think once I hit 30% the story picked up and something finally happened. Thankfully, I didn’t put it down before then. I would have really missed a lot if I had. Story pacing and plot placement could have really helped this book. And maybe even keeping the POV on one person for more than just two paragraphs. There was so much jumping around and around that I got dizzy. I keep reading reviews where the scattered POV’s really helped the story but I have to disagree with them. Instead of being in love with the story I was too busy back tracking trying to figure out who or what I was reading about and when it was happening. And how this character was involved and why they were involved and also who they were.